Making their debut in Nitin Kakkar's upcoming Notebook, the newcomers opened up on the 'Nitin Kakkar school of acting', their chemistry and the legacy. 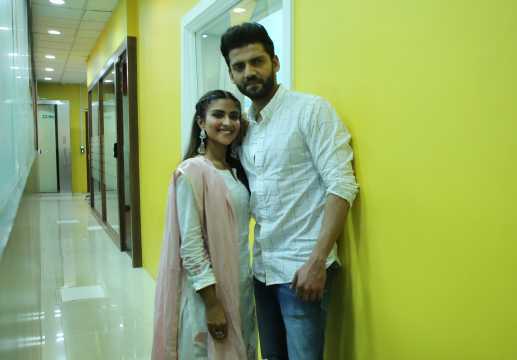 Newcomers Pranutan Bahl and Zaheer Iqbal share an easy chemistry that seems to echo their pairing on screen in Nitin Kakkar's Notebook, to be released on 29 March. The trailer of the upcoming Salman Khan production captures a tale of love that is spread across time. Sitting down for a media interaction, the two debutantes seem geared up and confident about the project. The backing of Khan and an illustrious family legacy certainly helps. Bahl, who is the 5th generation of a family of actors which includes Shobhana Samarth, Nutan, Mohnish Bahl did not want to be dragged into the issue of 'nepotism'. She said, "I will tell you why I am not a product of nepotism. I have not chosen the path for myself. I completed my education, and immediately thereafter I got into auditions. I have been auditioning for three years. For me, Notebook was another audition. I never told my father to make a call for me." Zaheer, though, had a more hilarious take on it. Spotted at his sister's wedding by Khan, Zaheer was once an aspiring 'construction' man. He said, "I was a part of nepotism in my father's construction business (laughs). He had a knowledge of 20-25 years, he wanted me to take that forward. But it didn't work for me." Although he still attends weekly sessions with his team overseeing the building business, Zaheer said, "I was fond of construction. During my college holidays, instead of going to chill, I would go to work. I loved the concept of looking at a building and thinking, I created it. I thought I would be the youngest builder in India. That's why I started very early. But I had a filmy keeda. At weddings, I don't dance. I perform. I give whole expressions and all. That nautanki was always there." That moment arrived during a performance at his sister's wedding where Khan spotted him. "We had made this whole video of how my jijaji and sister would be 15 years from the wedding. Salman bhai saw it and he called me and told me about acting, and I was very fond of the craft of performing. I thought why would anyone let go of this opportunity of Salman Khan backing you to fulfill your dream?" In Kakkar's Notebook, the two come together for a musical romance that seems an ideal launchpad. The advantage of the film being one of the few commercial romances these days is not lost on the leads. 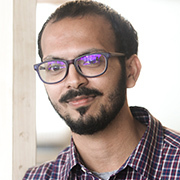 Zaheer mentioned, "One of the things that attracted me to the script was the fact that it was such an unconventional love story," adding, "I think everyone is getting a little tired with the same plot, where you can predict the film. I think the reason people are liking the trailer so much is that you get a sense of the film, but it keeps you curious as to why it is so. I think everyone should explore different sort of love stories because I am sure everyone has a different sort of love story in their lives." Pranutan said, "As far as romantic films are concerned, I tend to agree that it is very unconventional. I don't like putting things in a box. In 2018, there have been very few romantic films because filmmakers were stepping out of their comfort zones and getting into great stories. That is really bold of them. Andhadhun, Stree, was offbeat genres, and I am glad that it translated into box office success." In the age of acting schools, the two refreshingly admitted that they had no training in acting apart from what their director Kakkar gave them. "I always tell people, I am from the Nitin Kakkar acting school," Pranutan laughed. "He taught me how to be on the screen, what Firdaus thinks, acts like. He and Hemant (Kher) our acting coach, helped us through the workshops," she added. Zaheer shared the opinion, gushing, "I have a major man-crush on Nitin sir. The confidence that he has given us, the way he has trained us to perform, and portrayed us on screen, is phenomenal." Kakkar, they elaborated, pushed them to build elaborate backstories to their characters, and assume their actions in real life. Zaheer said, "So when you come on set and sir tells you 'Be sad'. You need to be sad the way Kabir is sad. Why does he do the things he does, how does he react when he is happy. If you ask me if Kabir had tea or coffee as a kid, I can tell you he had coffee and give you the incident that led him to choose coffee." Pranutan referred to the time when she was vociferously defending an action Firdaus (her character in the film) would not do." He (Nitin Kakkar) looked at me with this twinkle in his eye saying, 'Calm down. I know Firdaus too. I made her up'. He wanted us to defend our characters and speak for them." While Kakkar has been known for films like Filmistaan (2014) and Mitron (2018), Notebook has the music, commercial element that remind you of a commercial production. Zaheer refered to the Salman Khan influence here. He said, "Also, it is a Salman Khan production. Bhai's sense of music is phenomenal. It is all routed through him, that's why I think the music is so phenomenal." Praising Vishal Mishra's compositions, the actor said, "He is an absolute genius. He has composed some songs within two minutes. It was like he was just given the brief, and he said 'Get the guitar' and started strumming out the tune. He has worked so hard. I think he is more excited about the film than us." The excitement will certainly find fruition soon. Notebook will be out in theatres tomorrow, 29 March.